Bring all ages, ethnicities and religions together in joyous open-air events by setting up traditional music & dance festivals. for community projects, controlled by the communities who have made the music. We have ensured clean water is constantly available. We built a school and teacher’s house to help the Baka get a good education. 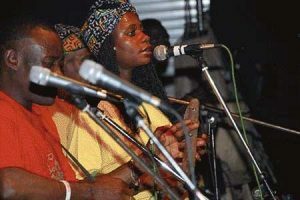 We have built a Music House and community centre in Gbiné. 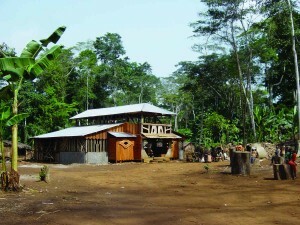 We have built up the village around Gbiné for the Baka to live while they are in the area.